Academy is a perfect theme for sharing and selling your knowledge online. 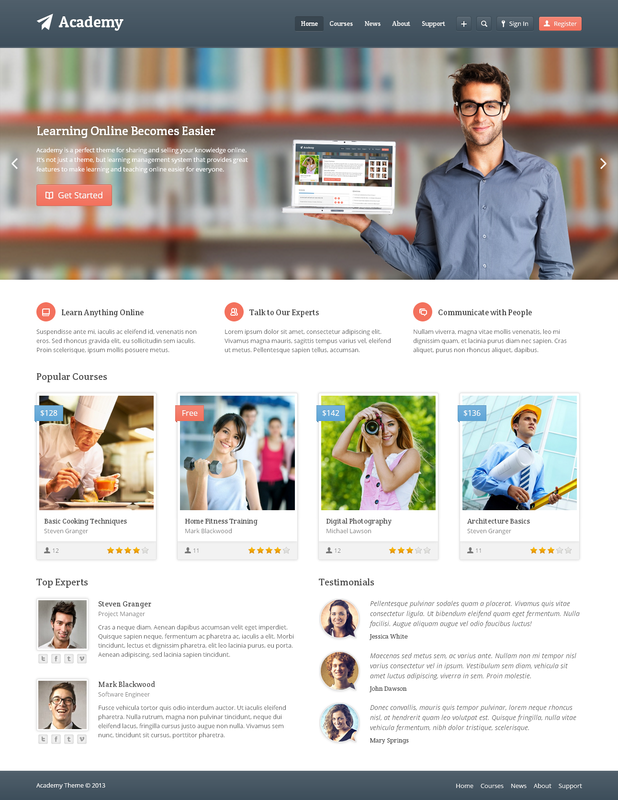 It’s not just a theme, but a learning management system that makes learning and teaching online easier for everyone. This theme provides awesome features for creating online courses, such as extended user profiles, rating system, question system, file attachments, embedding self-hosted media, tracking course progress, WooCommerce integration and more. Start teaching online with Academy! This theme extends basic user profiles. Users can register, login, reset the password, upload avatars, edit profile fields, subscribe to courses and track their progress without seeing the WordPress back-end.